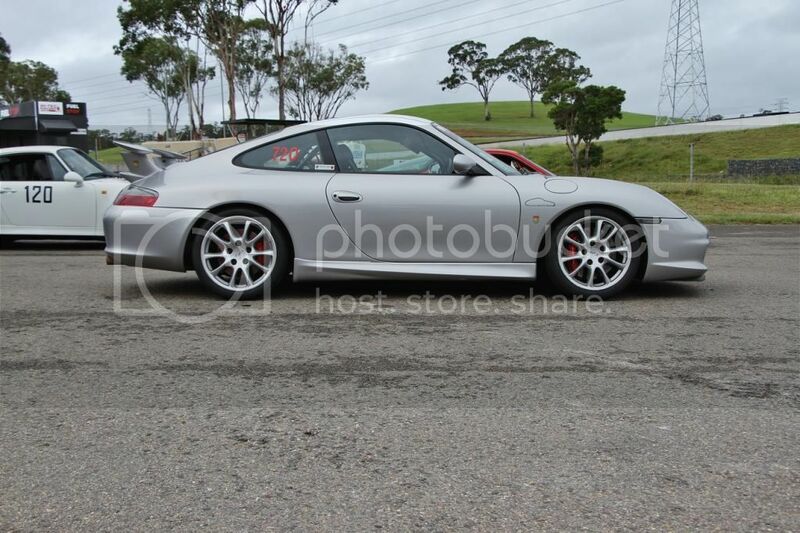 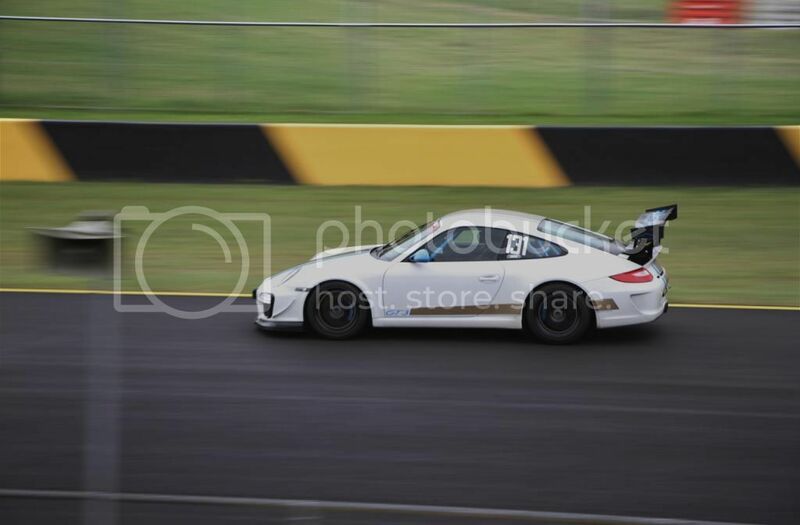 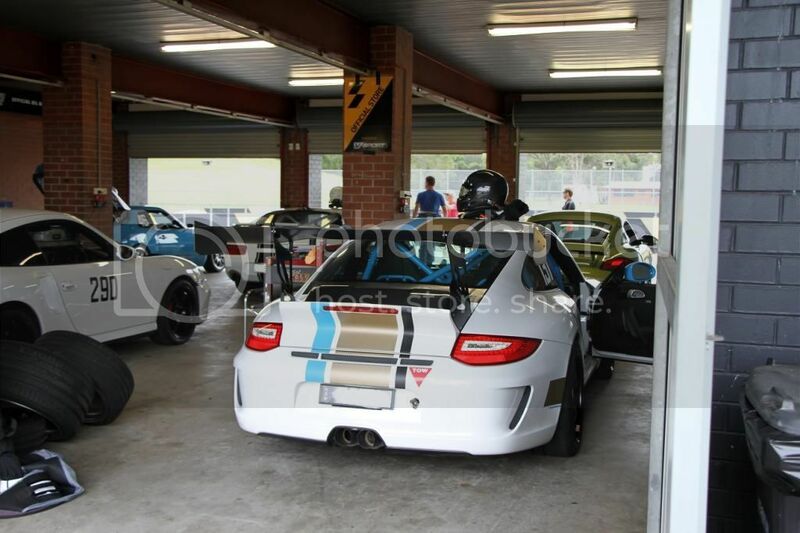 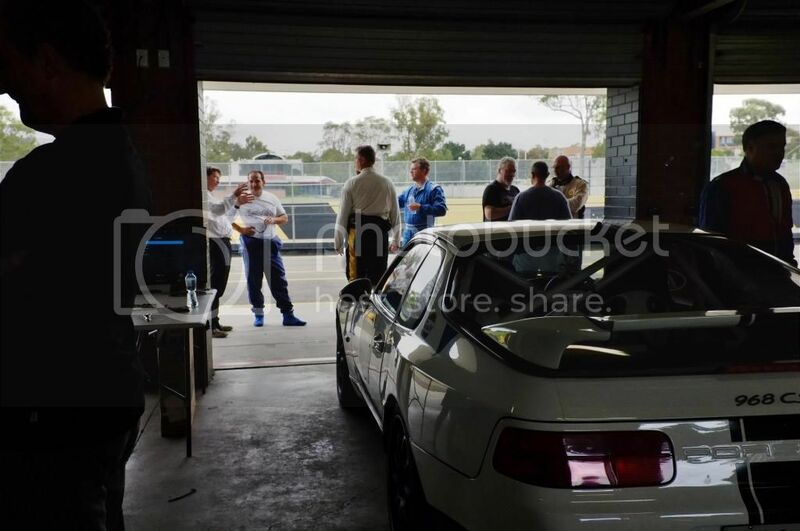 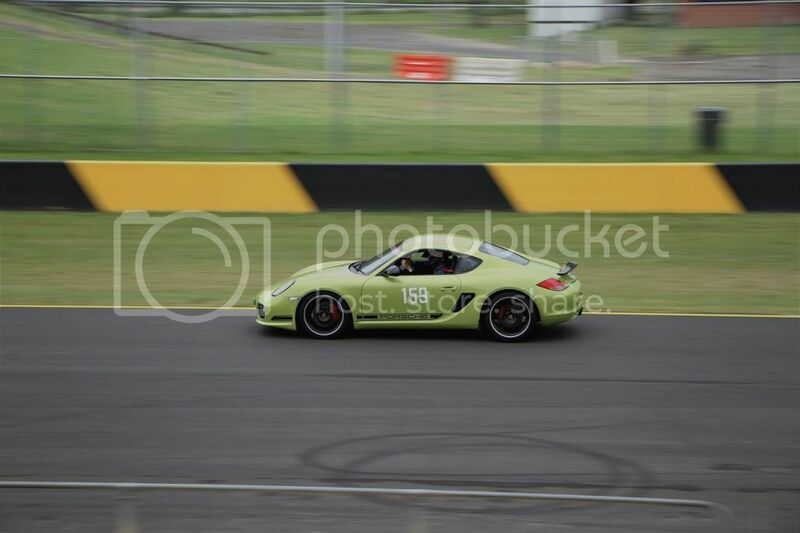 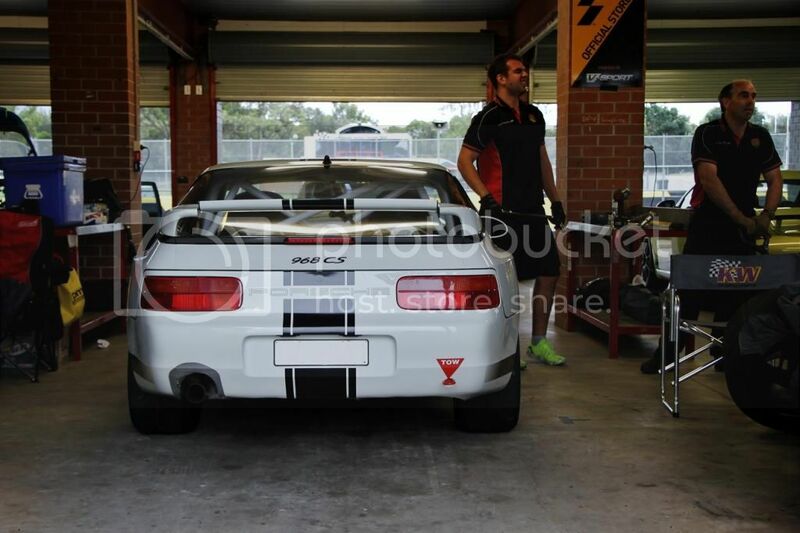 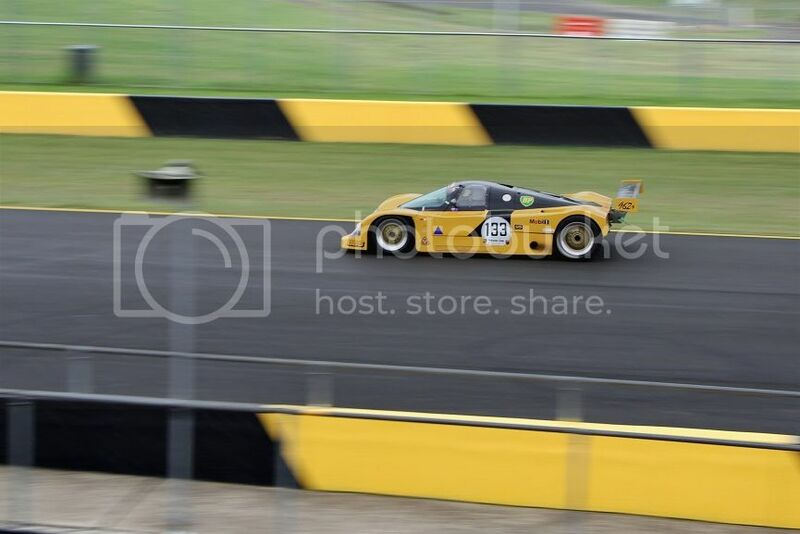 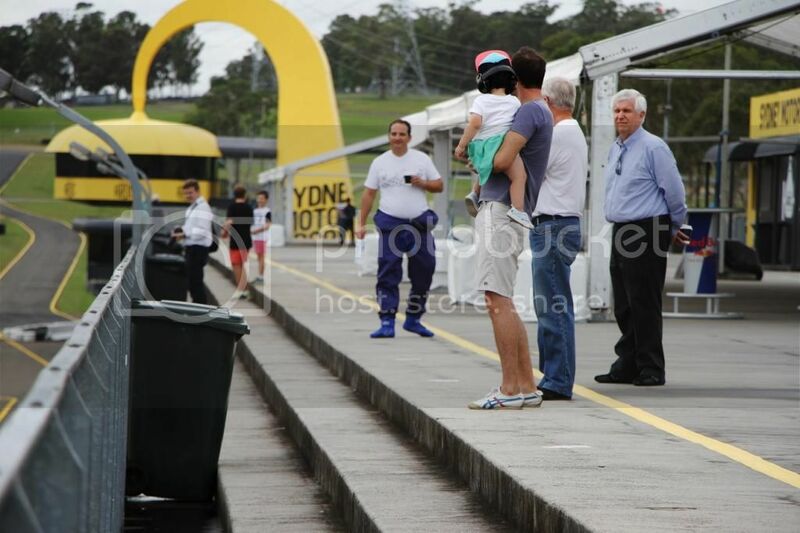 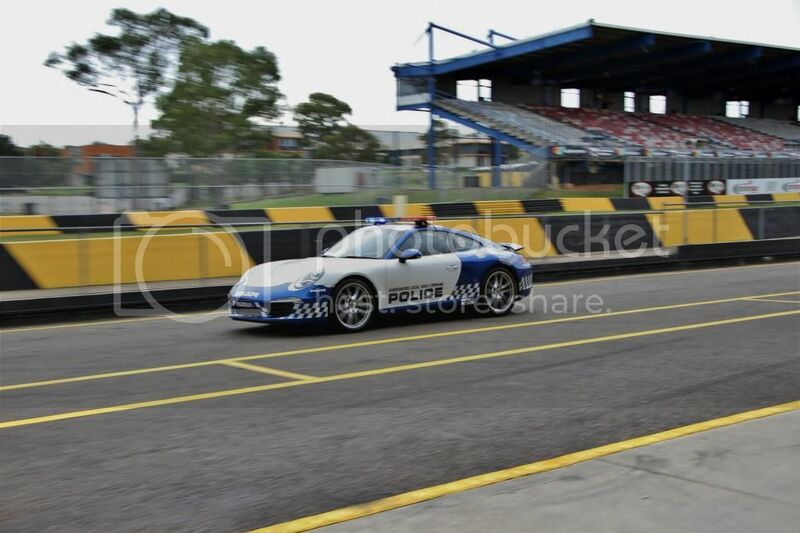 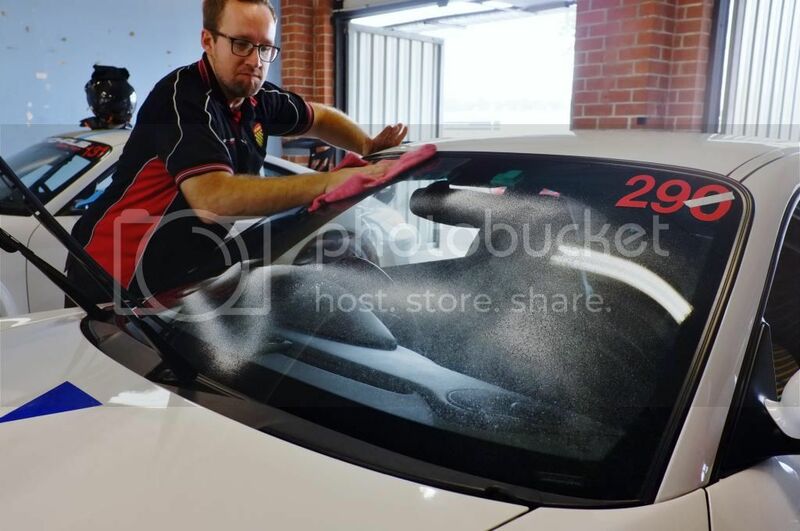 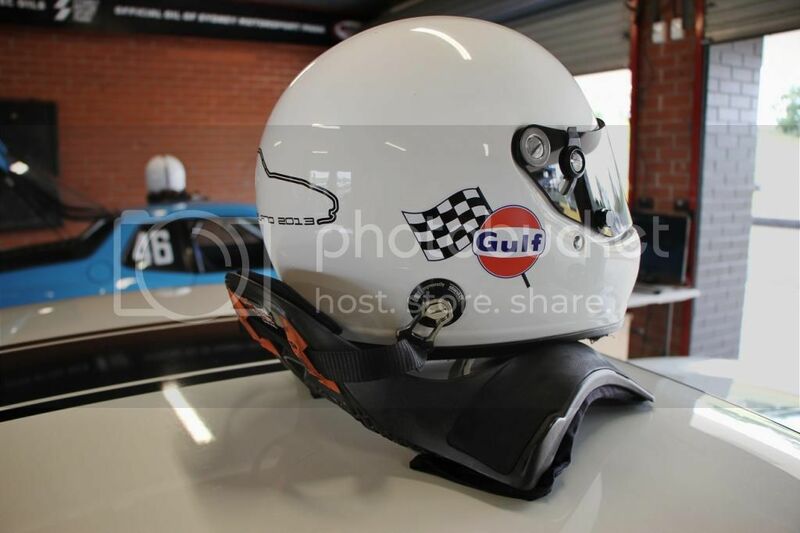 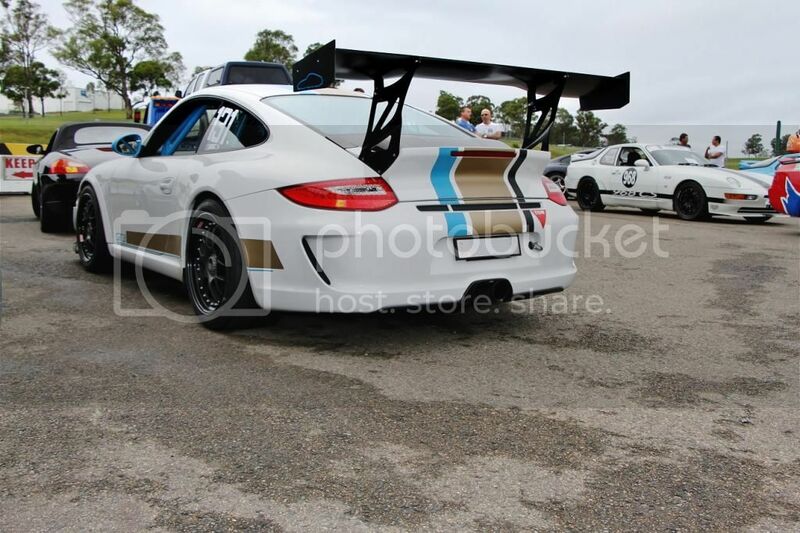 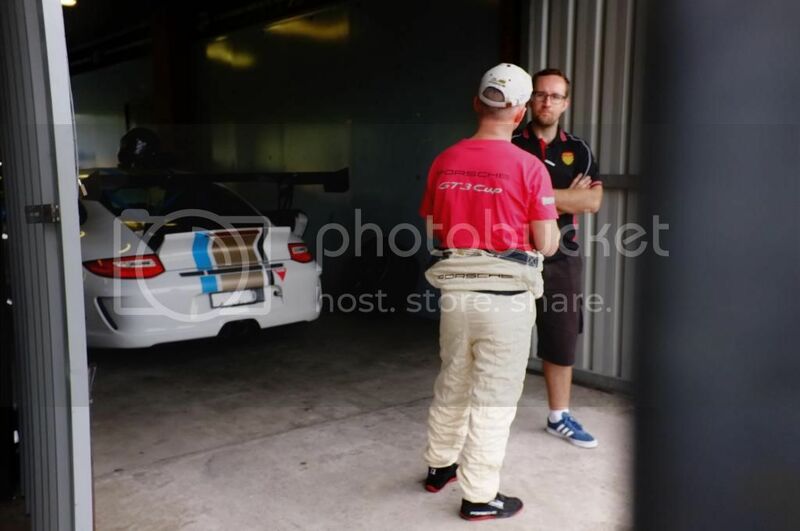 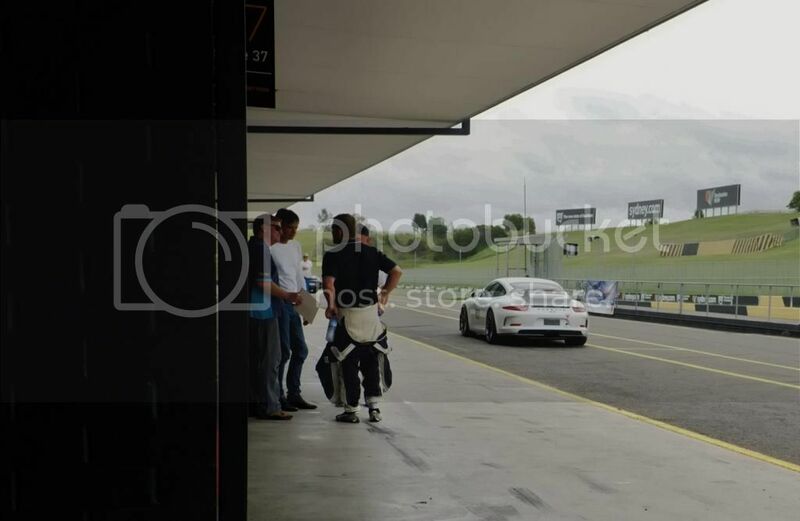 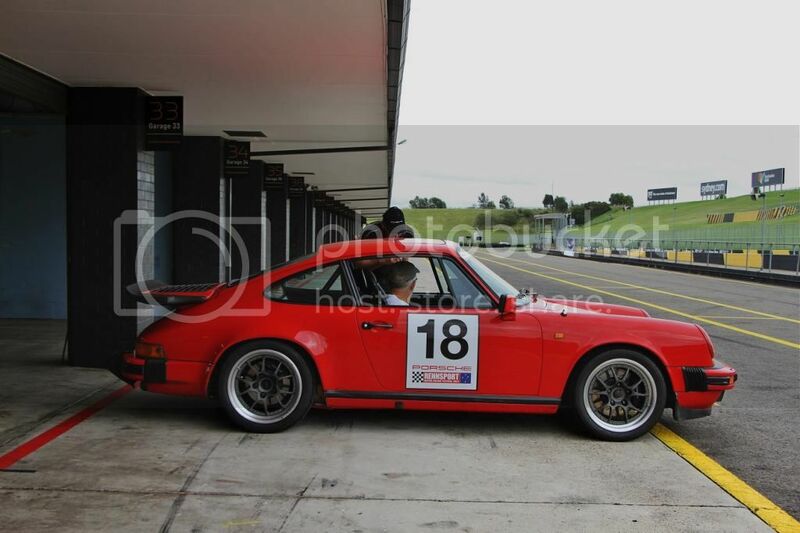 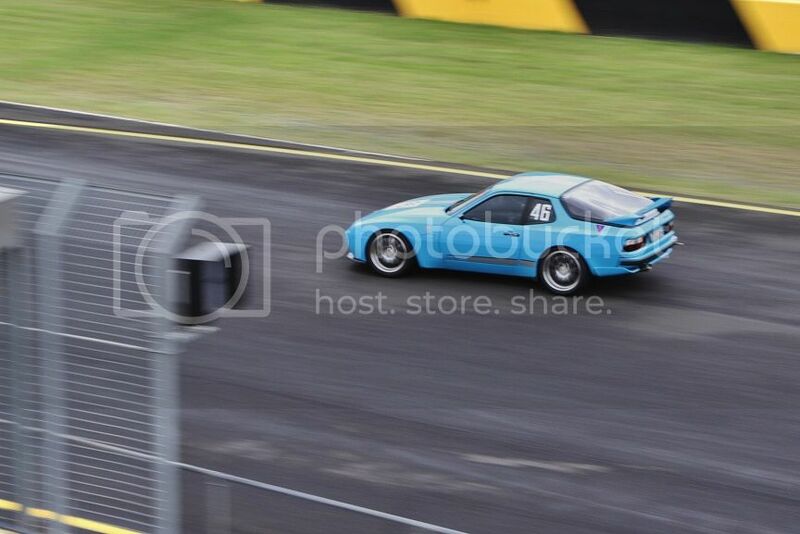 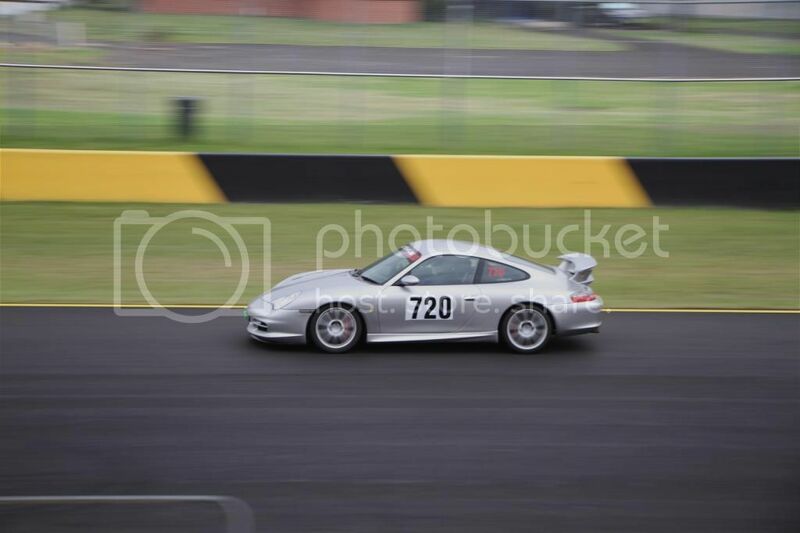 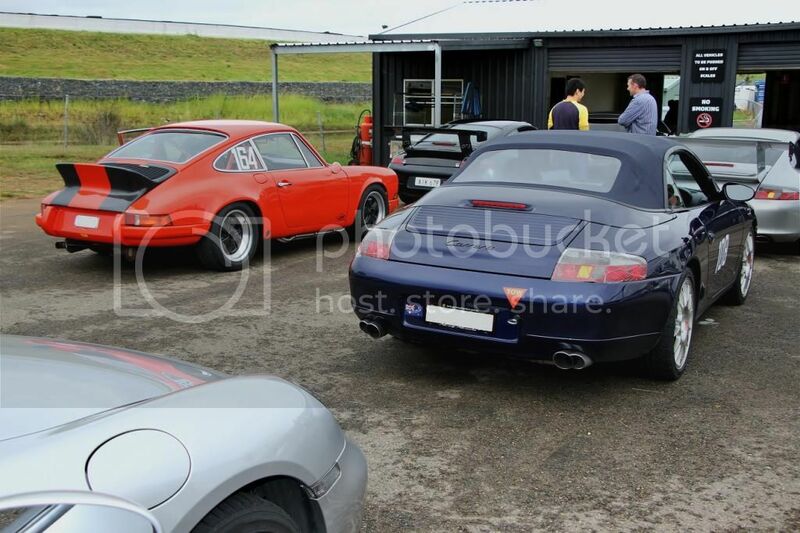 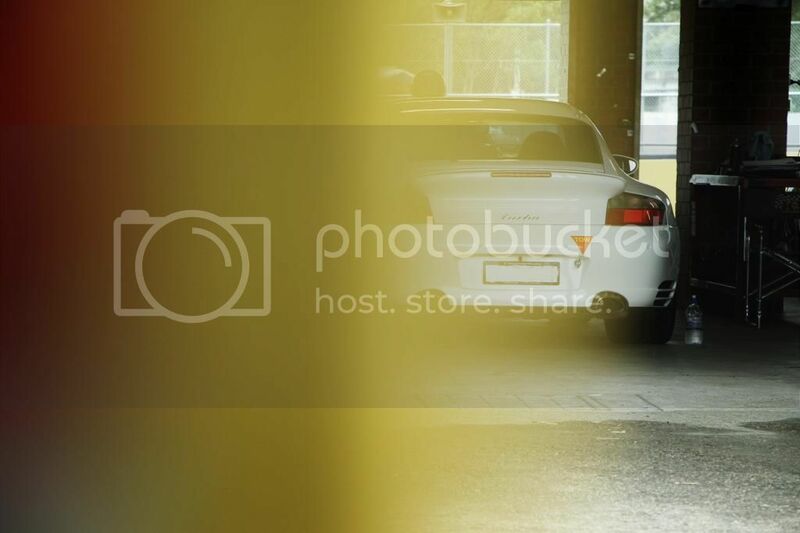 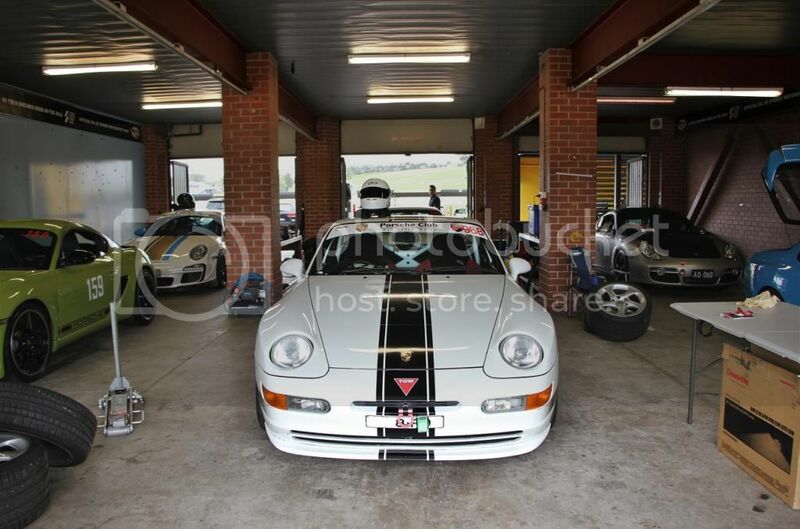 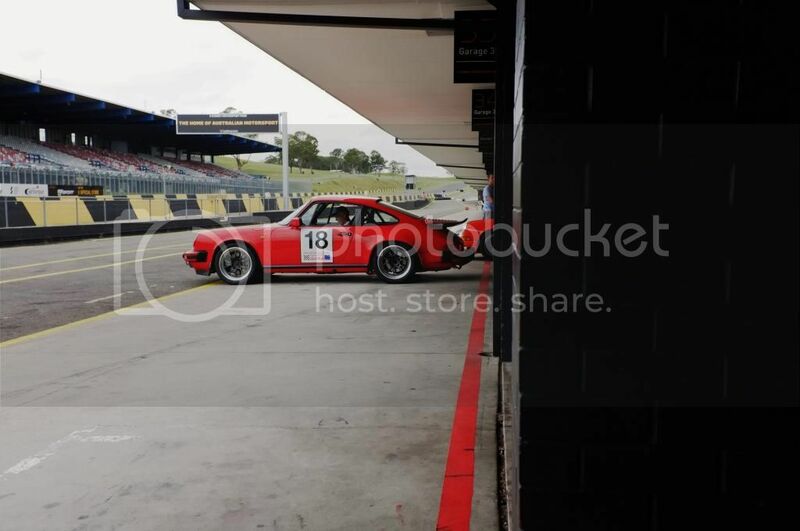 The first round of the Porsche Club of NSW’s Super-Sprint series for 2014 took place last Saturday, under the lovely grey skies that Sydney Motorsport Park had on offer. 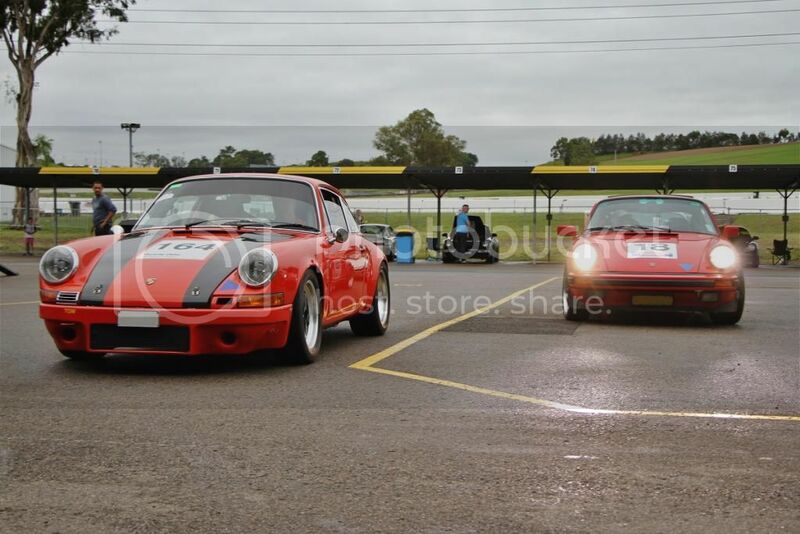 Even though the weather was not perfect, there was enough breaks’ in the rain for some competitive time-trailed racing to be had. 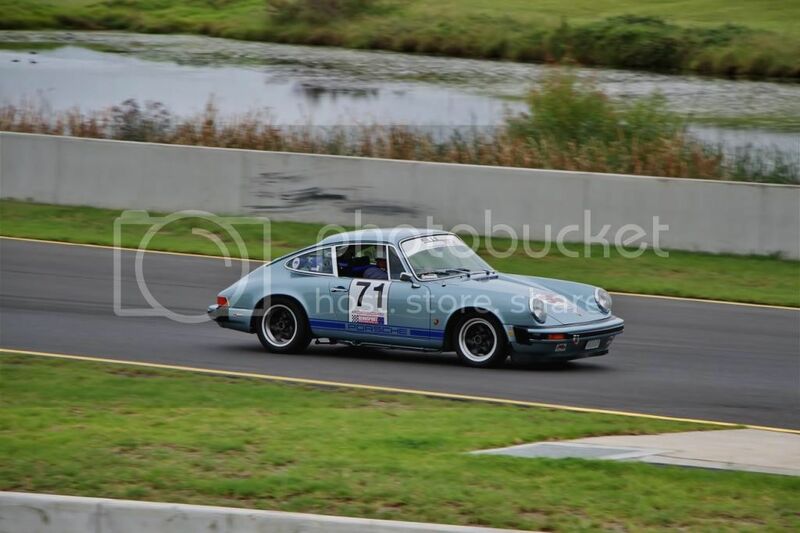 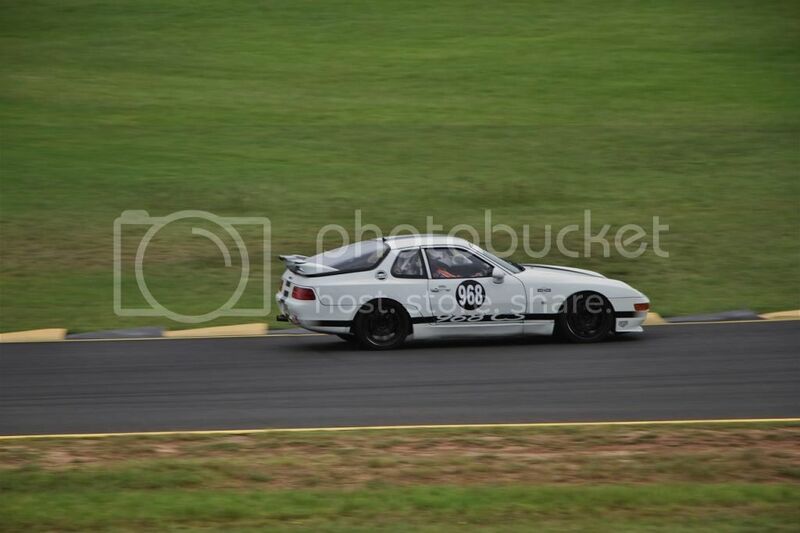 This round saw sixteen of our customers competing, with twelve opting for our track side support. 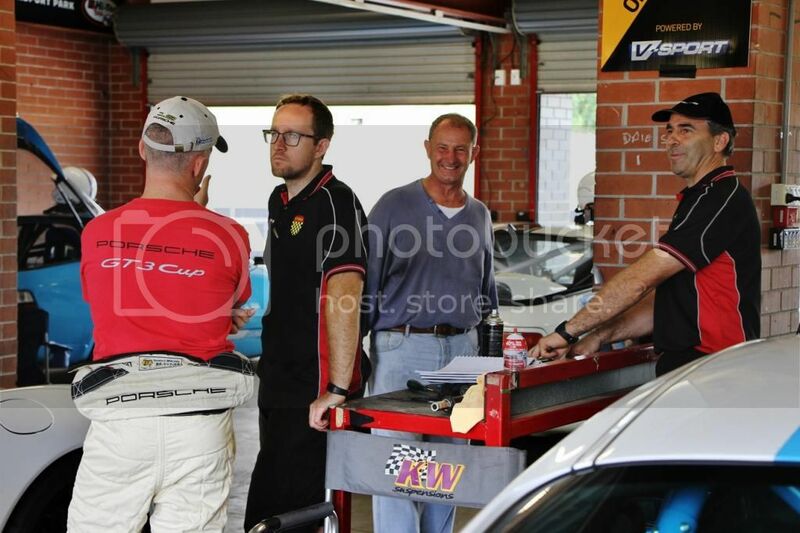 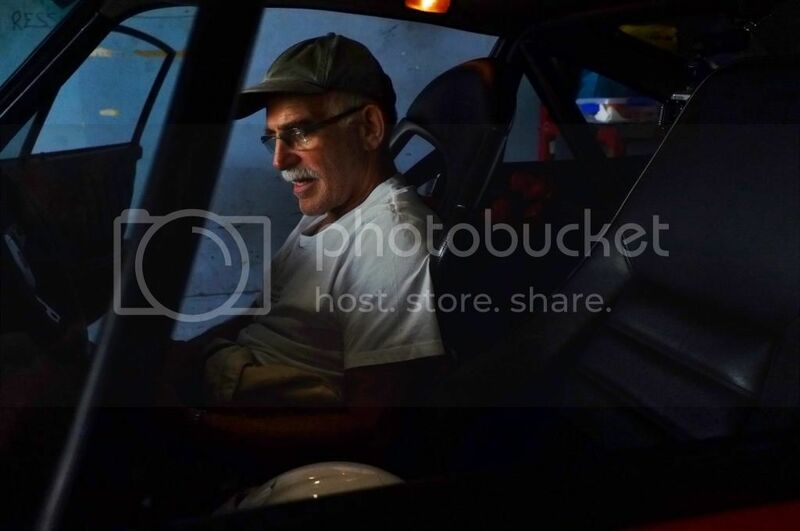 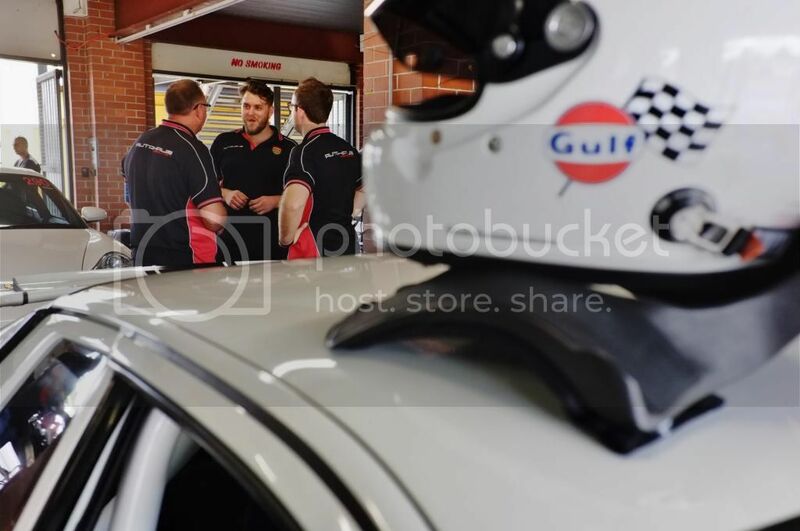 Arriving early we managed to secure 6 garages, squeezing in the whole Autohaus Hamilton family into a communal space, giving the guys equal opportunity to obtain guidance from the team and have a laugh with each other between sessions. 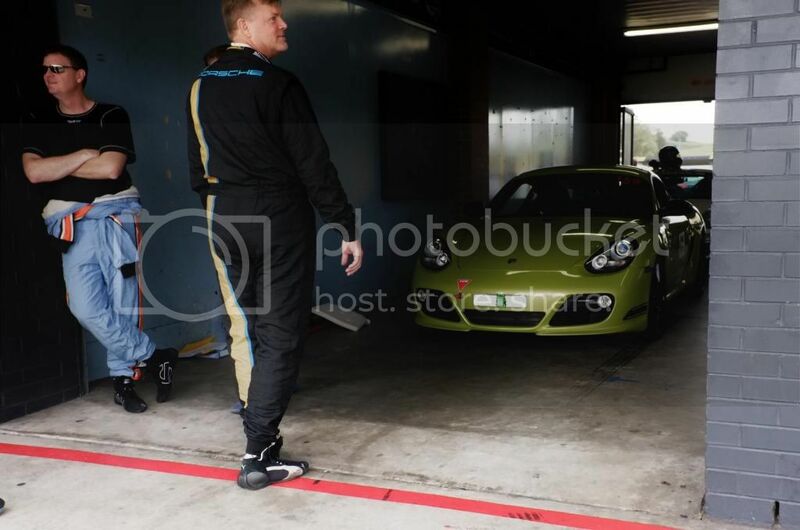 Richard arrives early in his Cayman R.
Our staff entrusted to manage track side support included; Grant, Nathan, Sergio, James, Stuart, Chris & Matt. 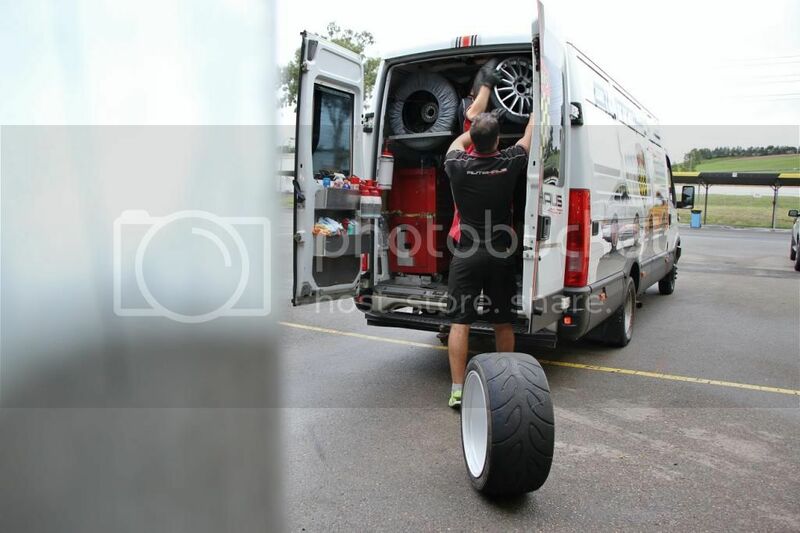 In the wet they guys stayed positive and we were always there to lend a helping hand, but more importantly they managed: The monitoring and adjustment of tyre pressures, making sure wheels are always torqued before the session, windscreen is clean, all levels checked and maintained, managing and fixing any possible on-the-day malfunctions and damage and last but not least, driver training. 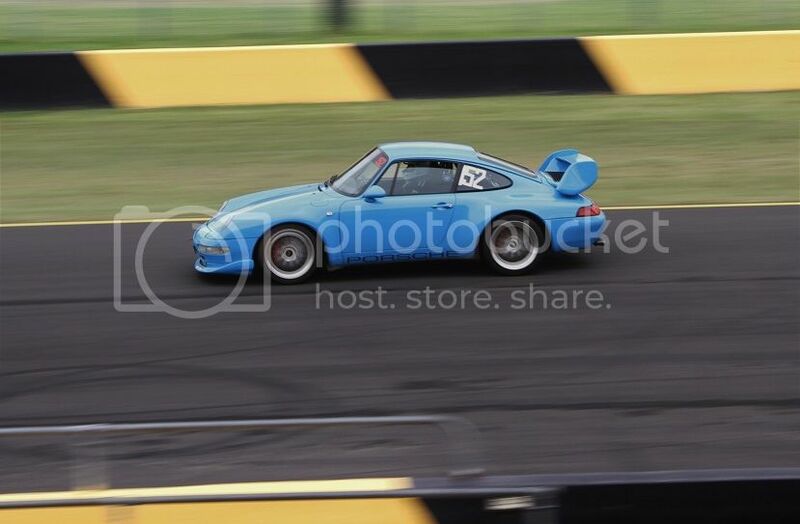 More information on track-side support can be found, here. 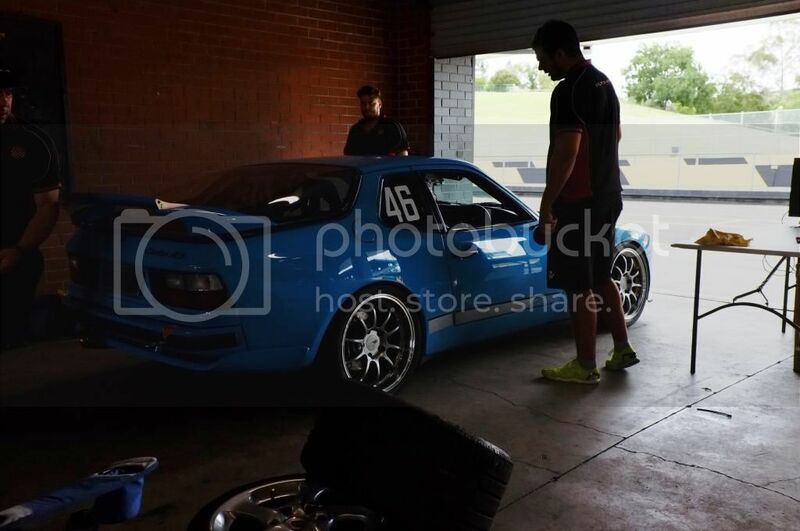 Chris unpacking the secondary sets of tyres for the day. 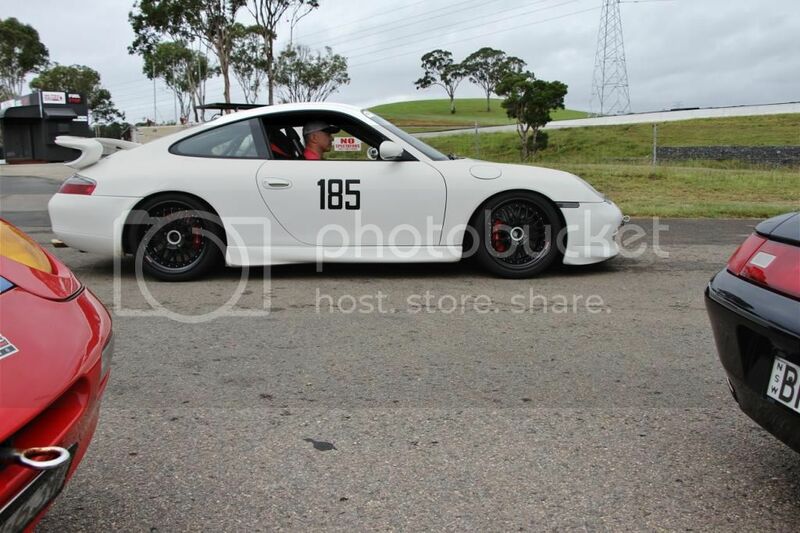 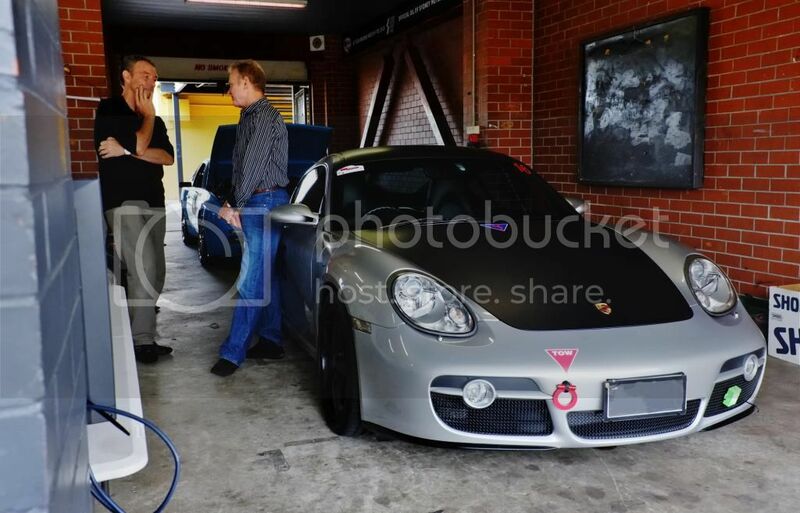 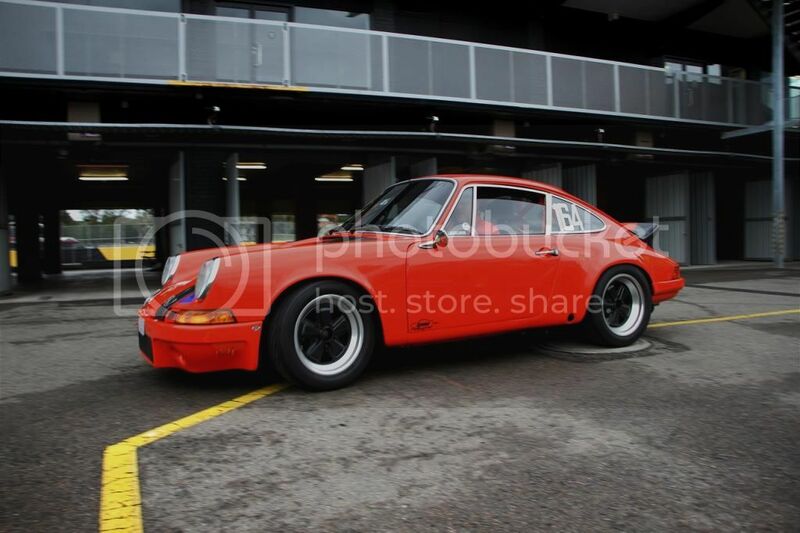 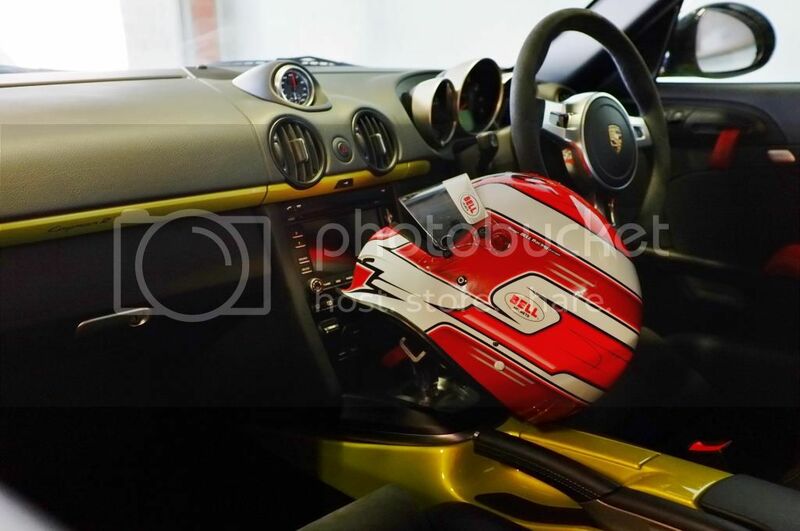 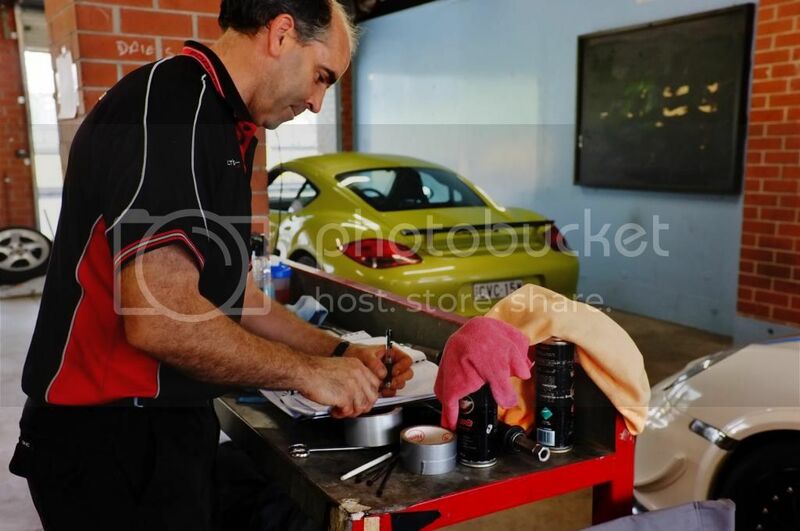 The event saw an approximately 90 Porsches competing; with the average speed reaching 151km/ph. 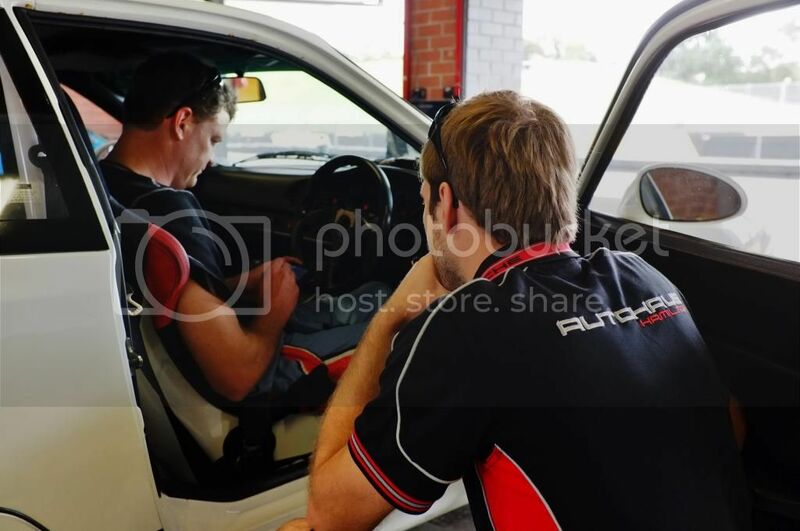 The Autohaus Hamilton team saw Mike, aka. 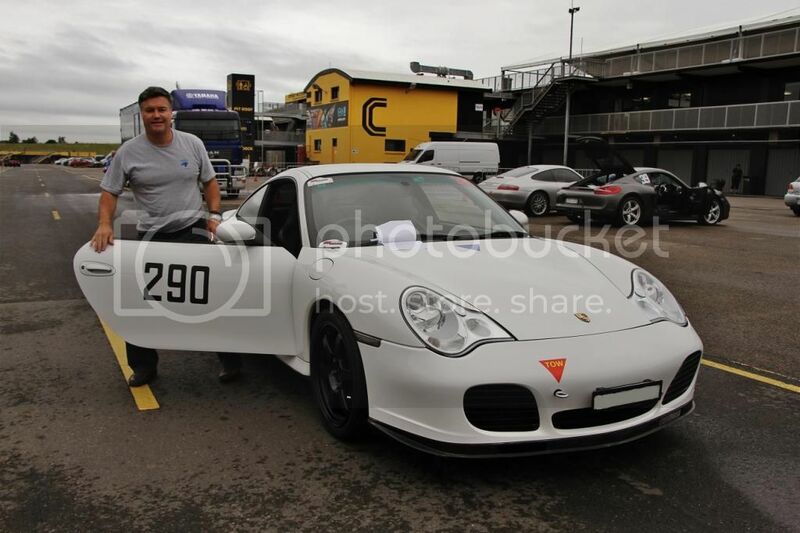 Big Mike managed to take out the quickest lap time in his 997.2 GT3, smashing out a 1:44.99! 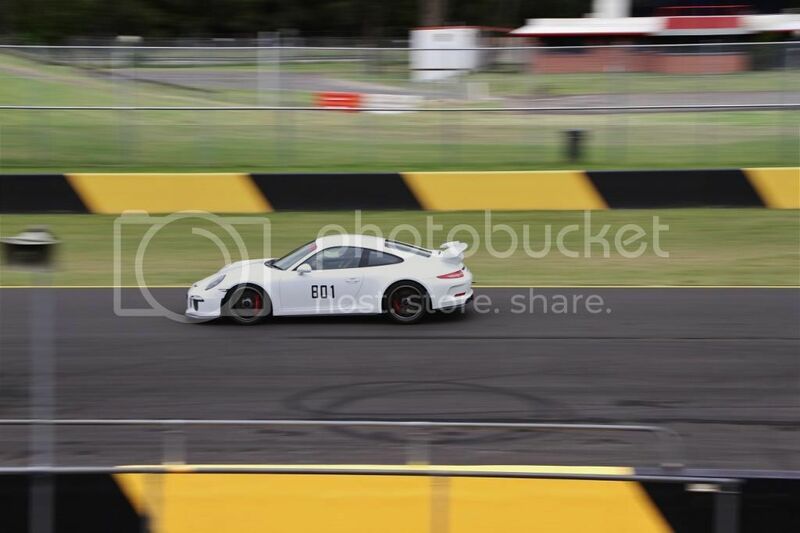 Followed closely behind by Bruce in his new 991 GT3 not even a second behind obtaining a 1:45.47. 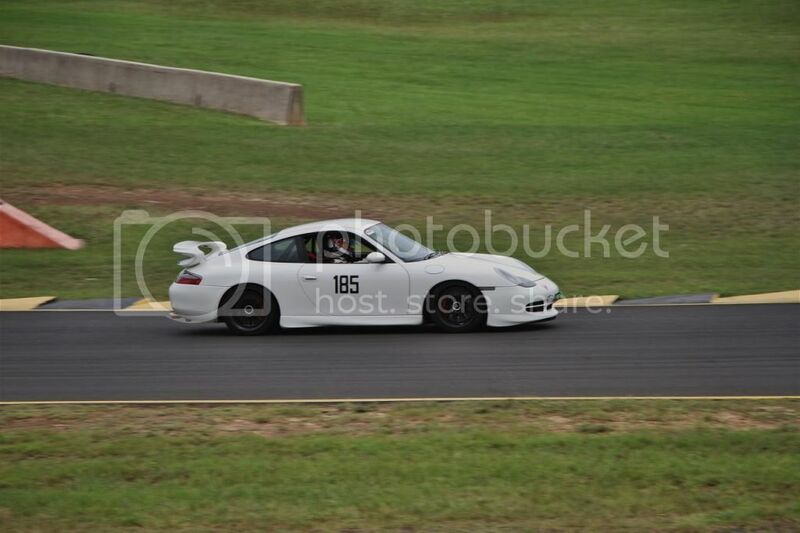 Grant Bush wasn’t counting sheep either in his 996 GT3 placing him only a few seconds behind with a 1:48.03. 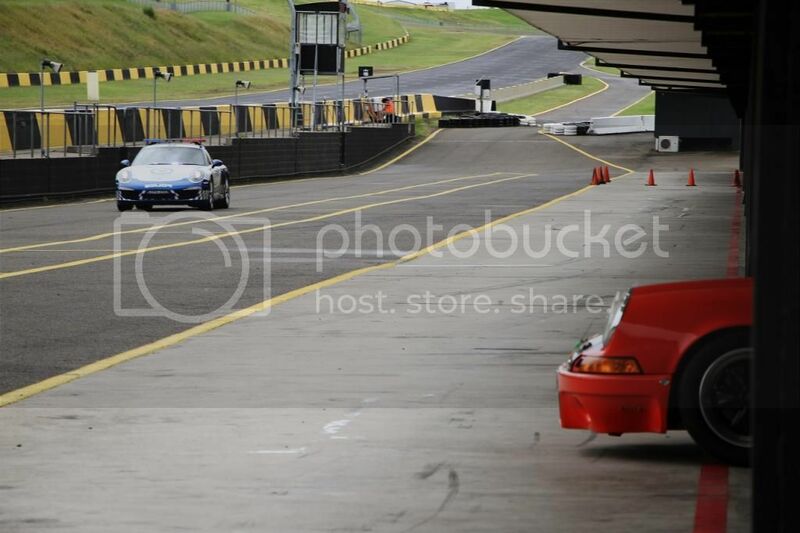 These times all very competitive with such bad weather on track. 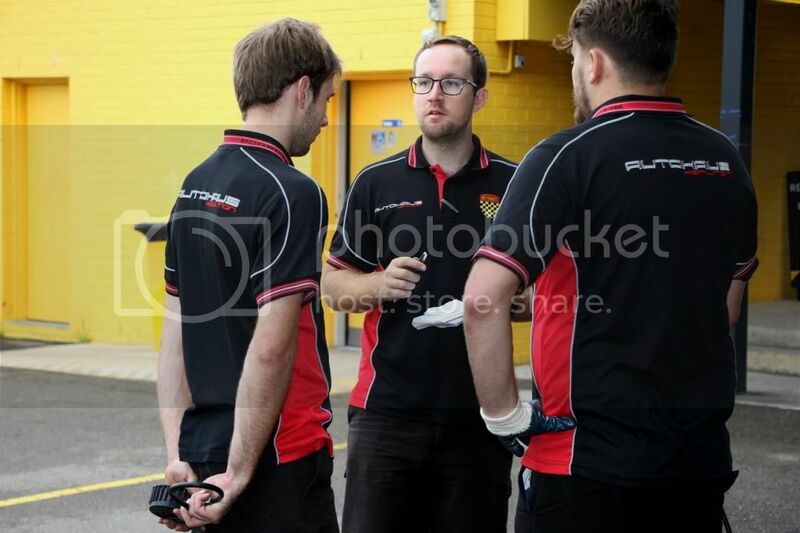 Matt, Nathan and James go over the first sessions notes. 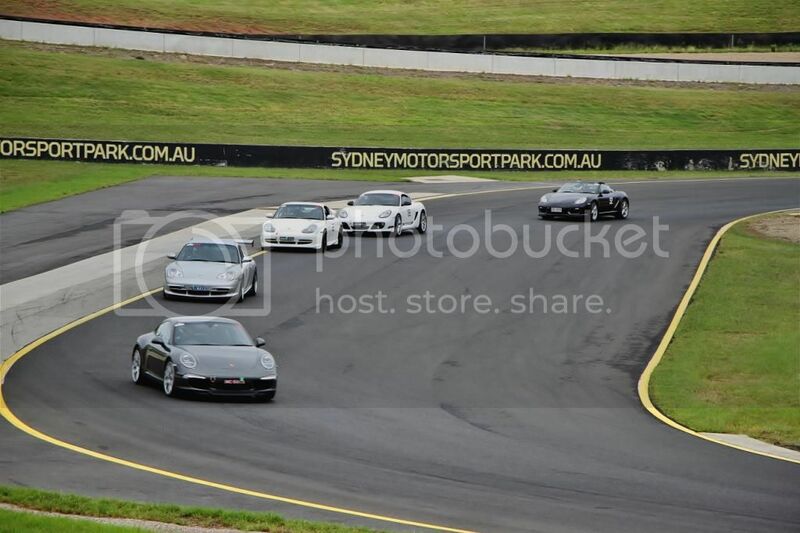 Some of the range on track. 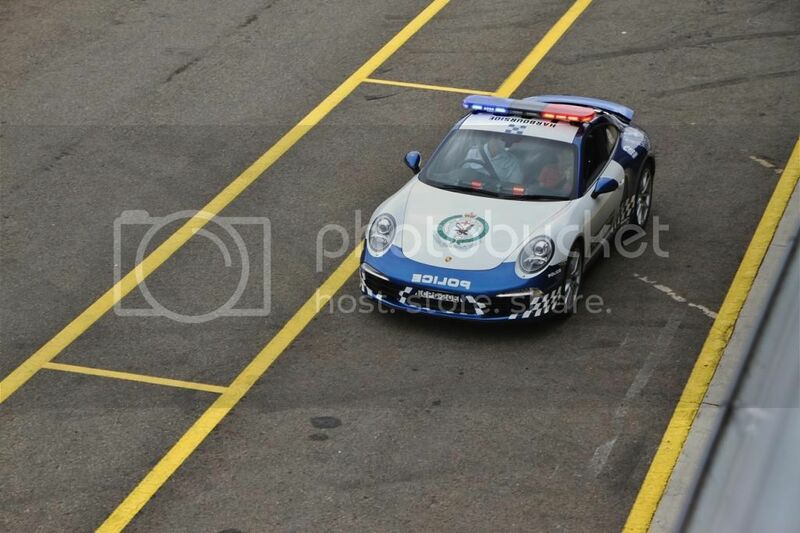 A very special 991 taking part. 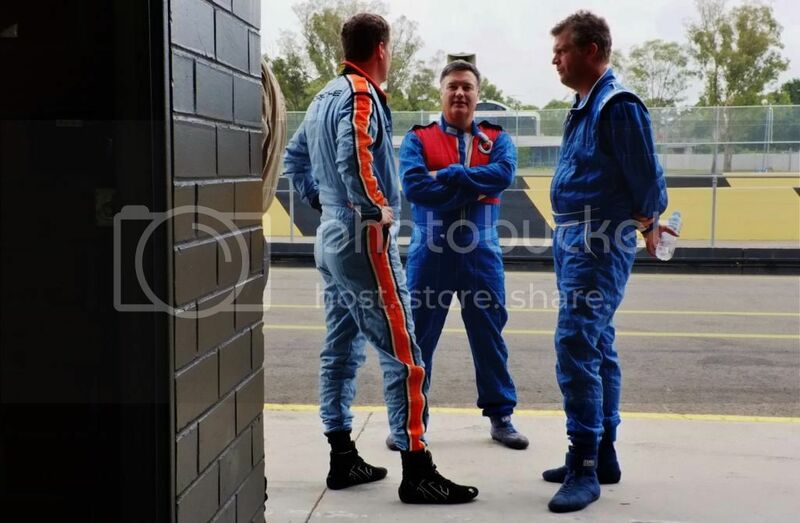 The big boys club having a laugh between sessions! 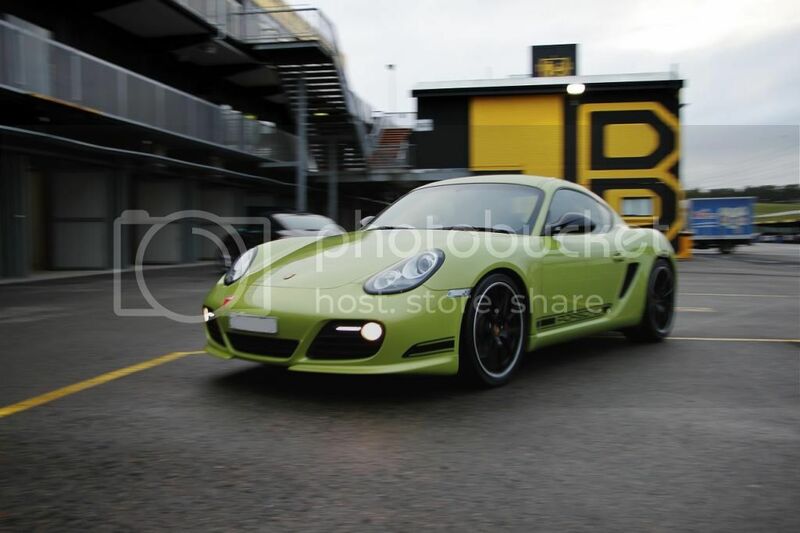 Richard's Cayman R in the morning. 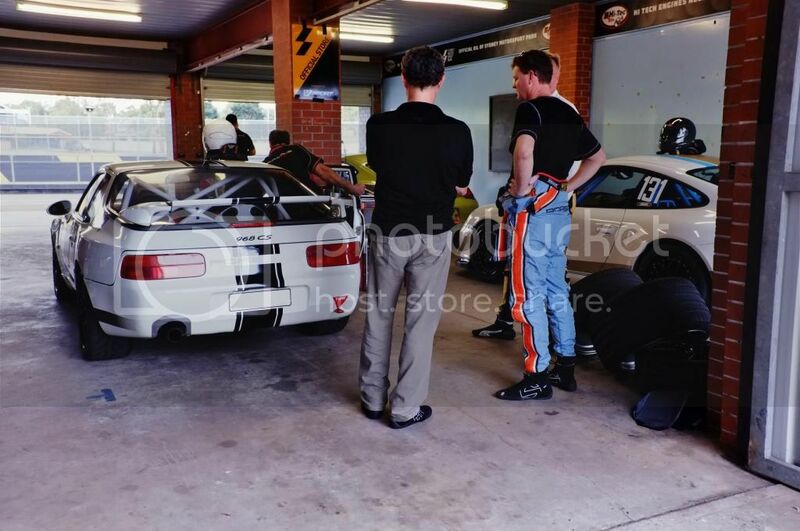 Grant giving some guidance before the first session. 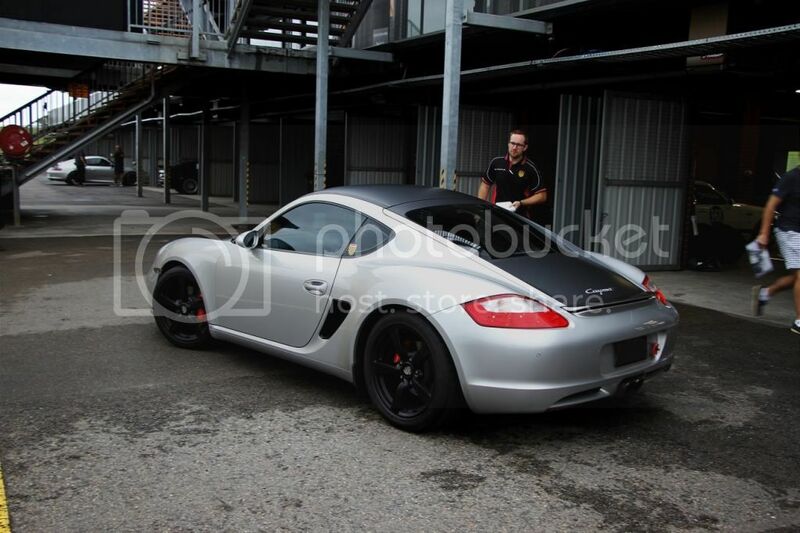 Our new 4L Cayman arriving for its debut! 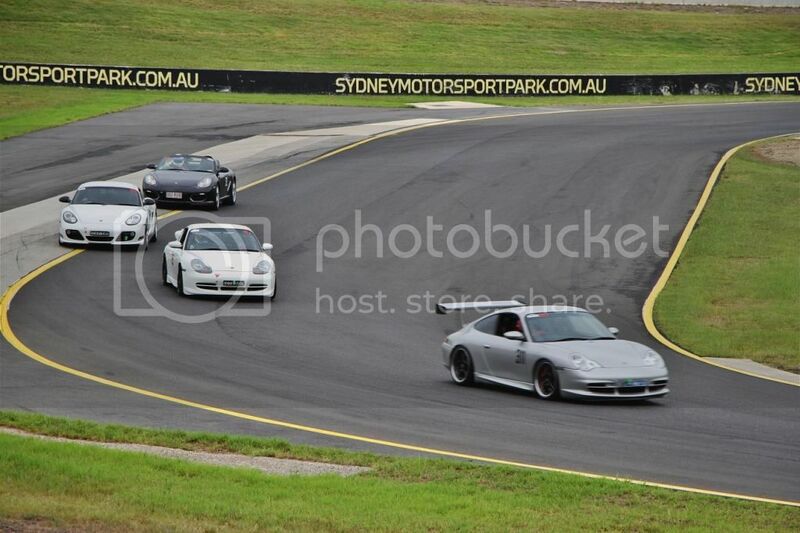 Sydney, traffic no matter where you are. 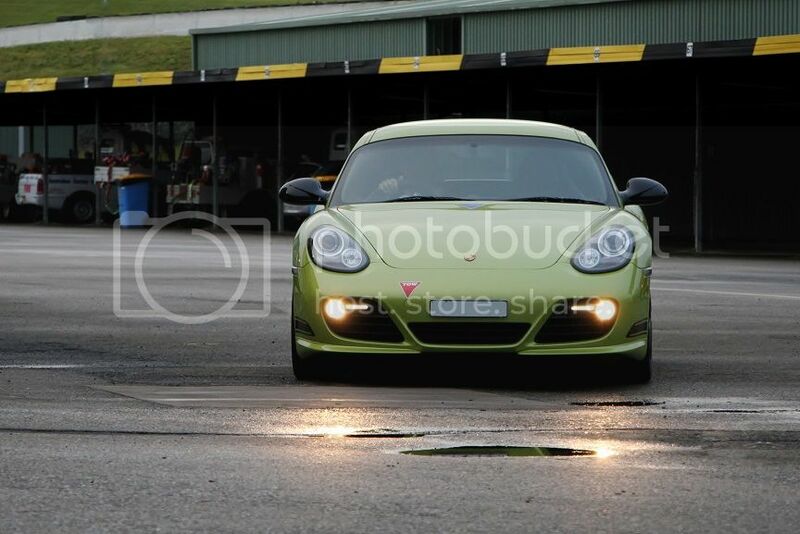 Nearly at the front now! 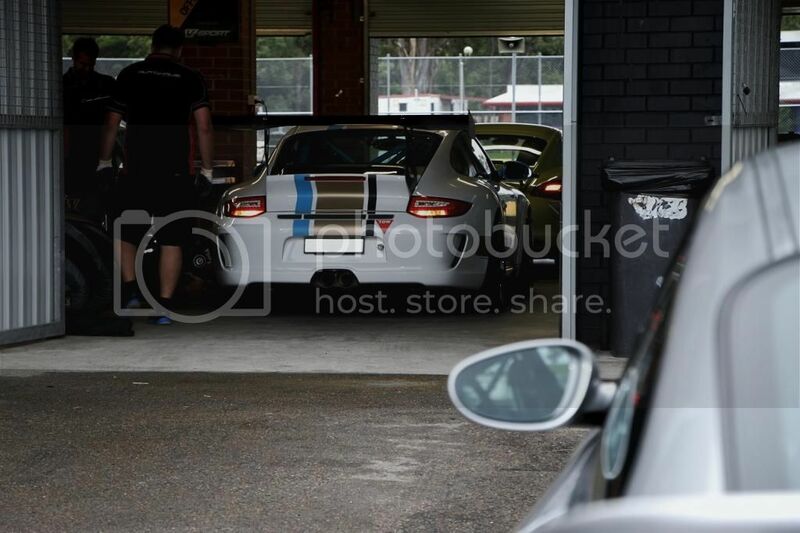 Turbo ready to be released! 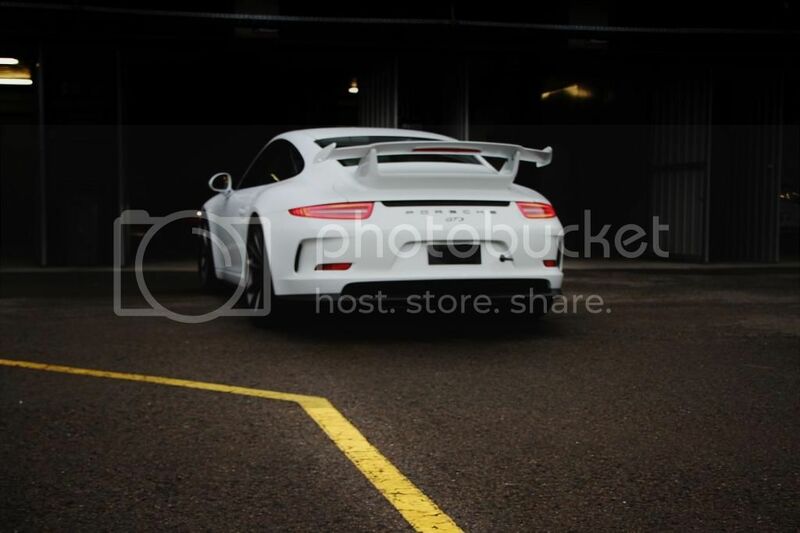 Porsche, the car that allows you to lead a double life. 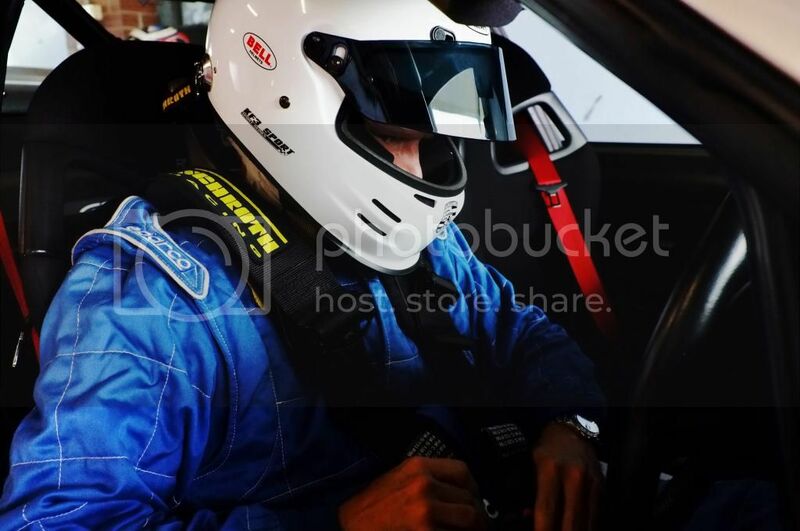 Mark managed to obtain the 11th quickest time with a 1:49.3! 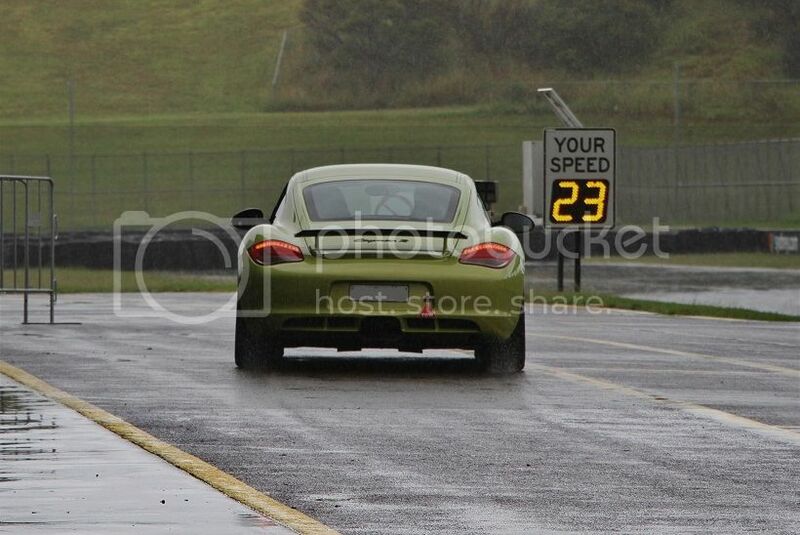 Anthony debuted his 4L cayman, proving its new GT3 nature. 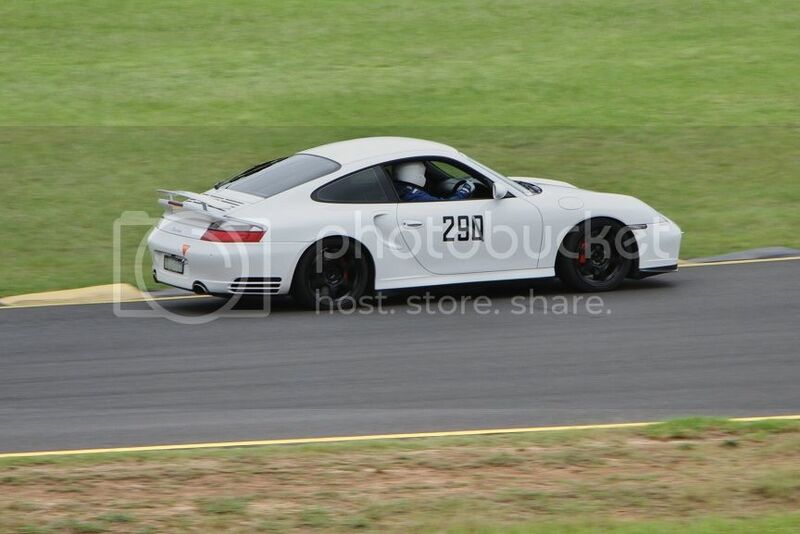 BJ atttacking the last corner. 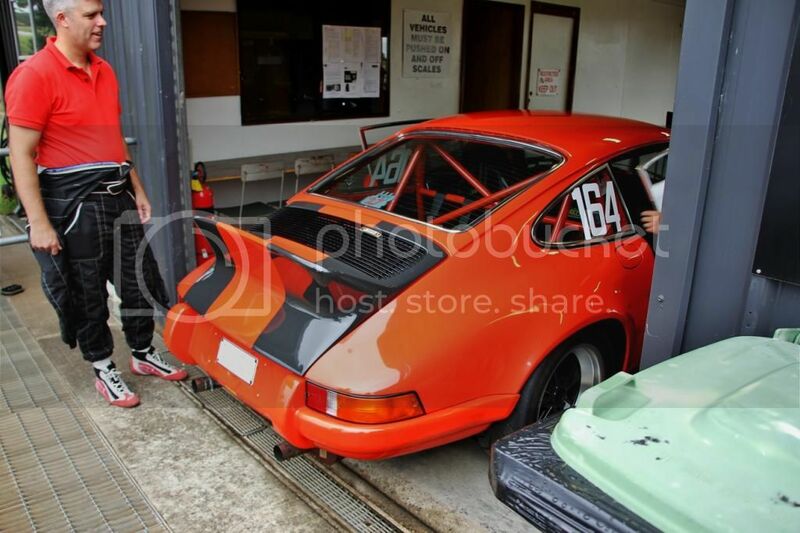 Bruce carving seconds off his last time at SMP. 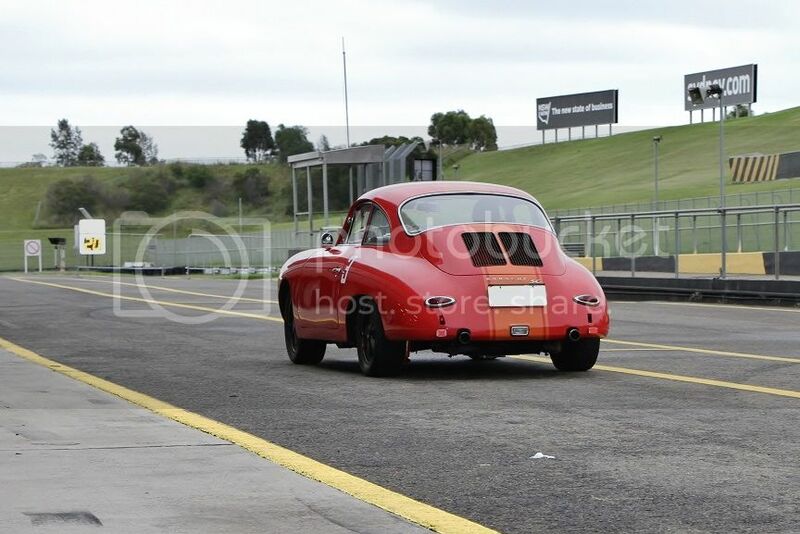 Mike acheiving the fastest time for the Autohaus Hamilton team! 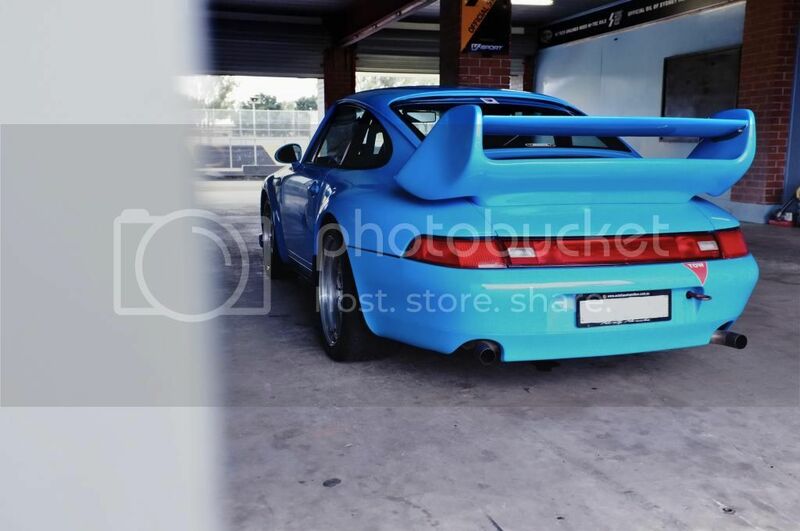 This colour never lets us down. 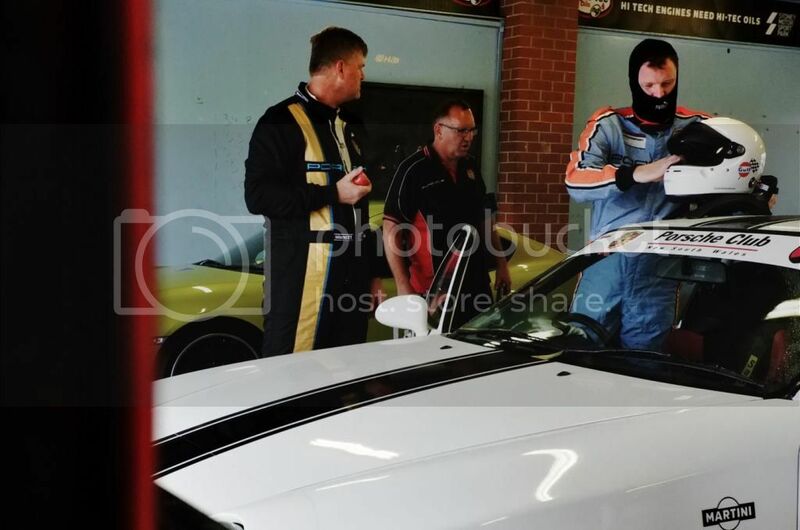 More banter in this pitts! 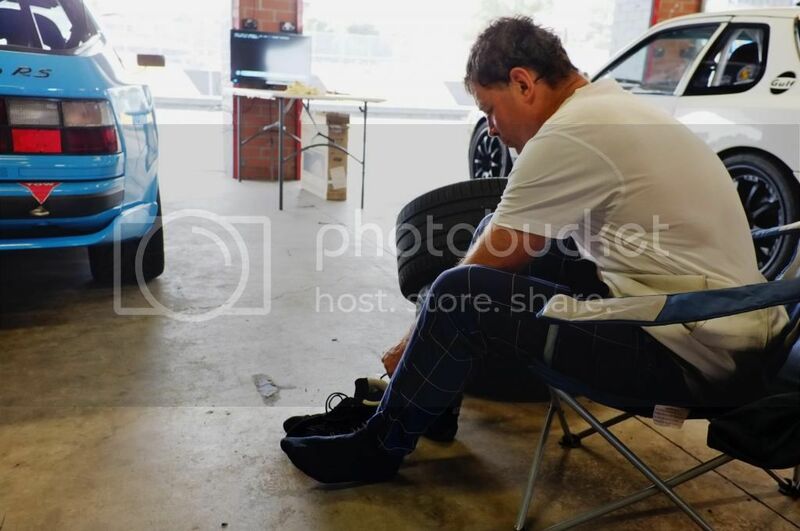 Shoes back on, ready to go! 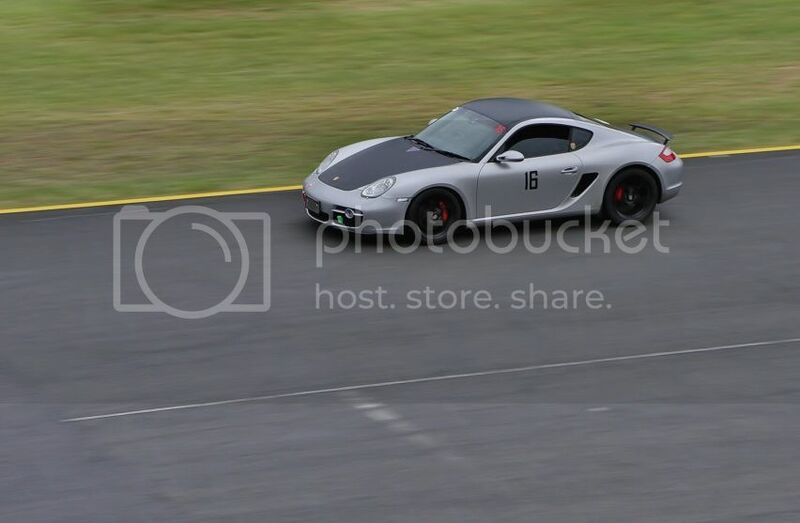 As some wait, some race. 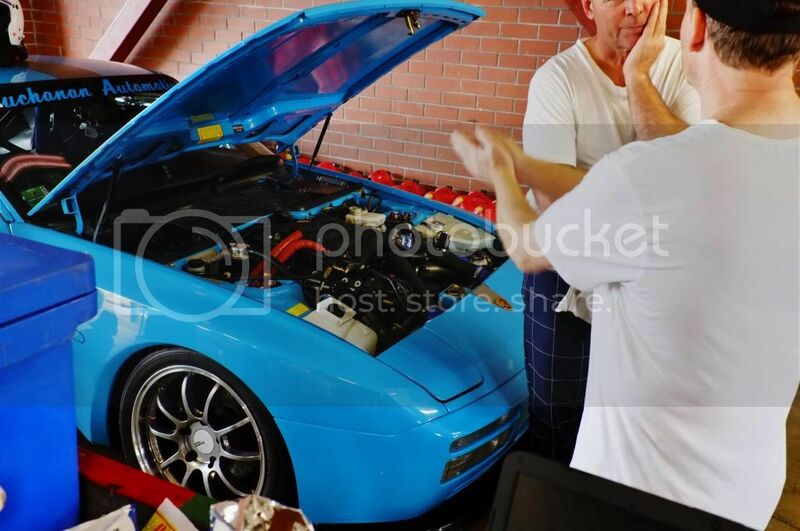 The in depth conversation of how 4L is worth it.